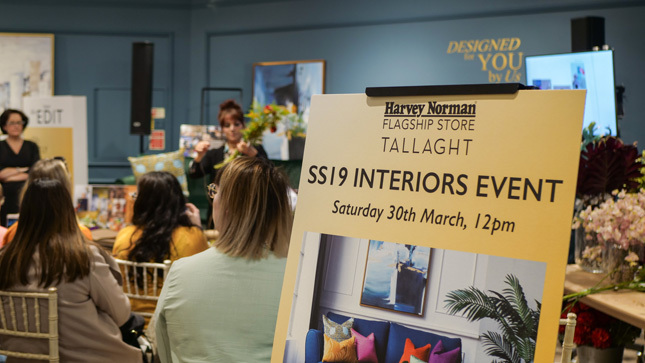 Last Saturday, House and Home hosted our 'Home the Edit' event with Harvey Norman at their flagship Tallaght store, and all the talk of upcoming trends for spring/summer 2019 left us feeling inspired to revamp our homes. 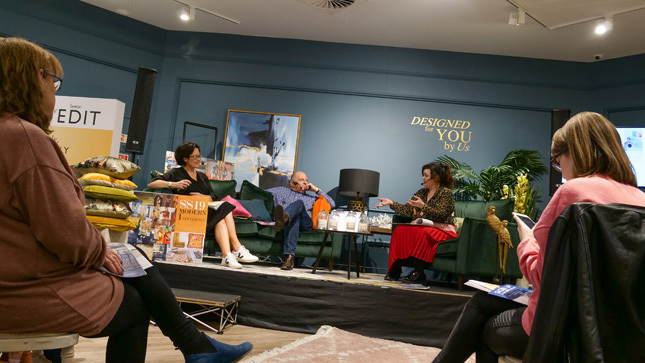 Readers and interiors influencers joined us for bubbles, nibbles and a panel chat with the hilarious Hugh Wallace, RTE Home of the Year judge and architect, and trend master and Harvey Norman's Head of Homewares, Yvonne Nugent, hosted by House and Home's Editorial Director, Kirstie McDermott. 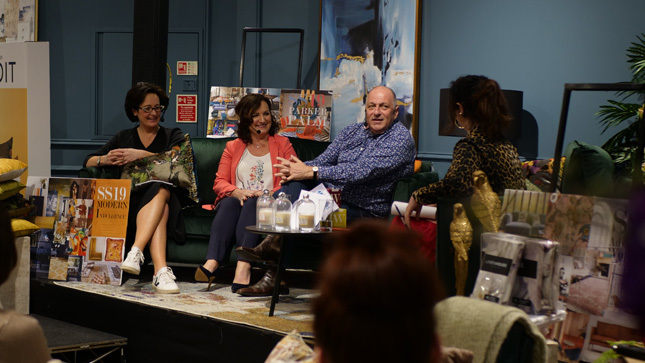 Caroline Horgan, who heads up fab cushion brand Scatterbox Cushions, which are stocked at Harvey Norman, joined us for the final section of the panel chat. 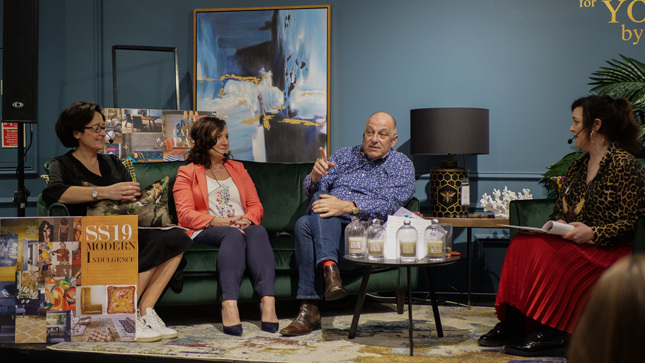 The panel took us through four of the key trends that Harvey Norman have centred their SS19 homewares launch around: Modern Indulgence, which centres on the colours of the moment in ochre and mustard shades; Adventures in Wonderland, which celebrates the fact that blush pink homewares are going nowhere; Palker Palm led by strong blues and oranges and full of fun; and finally Full Contrast, which brings the animal print trend we're loving on the catwalks into our homes. 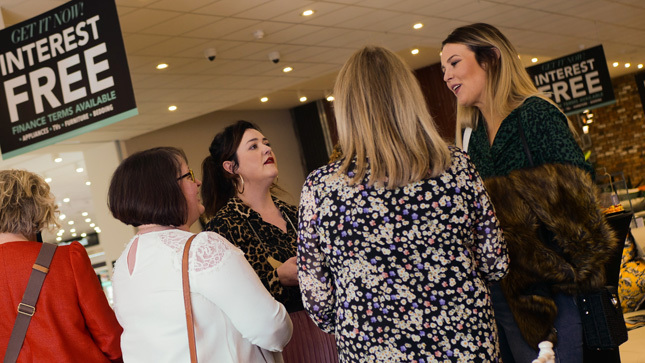 The stage was set with a green velvet sofa and armchair from the Pasha range (from €499), alongside new season accessories and soft furnishings from across all four talking point trends in the SS19 range, Home the Edit. 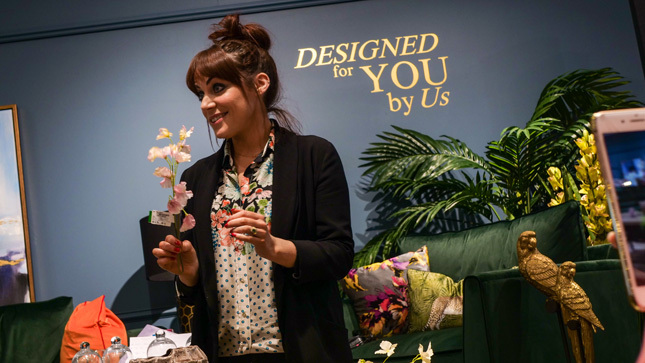 After our panel chat, Niamh O'Doherty from House of Flowers Designs did a flower arranging workshop, showcasing how well you can put faux flowers to use at home, using Harvey Norman's impressive range of realistic-looking faux flowers and greenery. 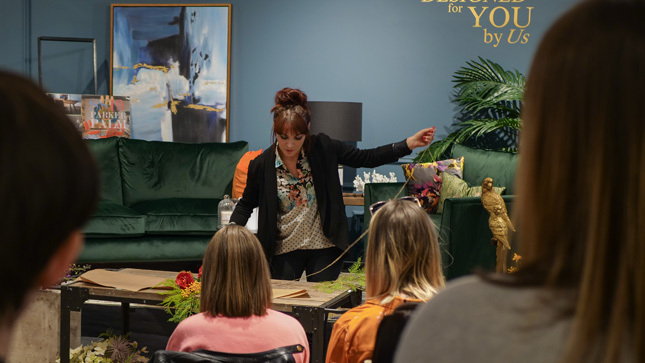 Just in time for Mother's Day, she showed us how to rustle up the perfect rustic-style faux flower bouquet, which was the perfect way to close out Saturday's event.